Provides cost-saving alternatives for creating, establishing and continuing the most current digital learning opportunities available for students. 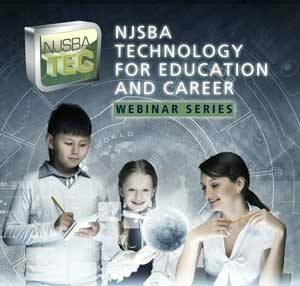 New Jersey School Boards Association’s Technology for Education and Career (NJSBA TEC) program provides cost-saving solutions for delivering the most current school technology and digital learning opportunities. Many of the products offered within the NJSBA TEC program are part of NJSBA’s cooperative pricing system. The NJSBA cooperative pricing system eliminates the need for your district to undergo the competitive bidding process. Learn more. The NJSBA TEC program aligns closely with the Future Ready Schools – NJ (FRS-NJ) certification program. Learn more about becoming “Future Ready” certified. Learn more about how NJSBA’s TEC can help with your district’s technology needs. Email njsbatec@njsba.org.